My sewing room is set-up and I decided to start a new quilt. I purchased the fabric at my favorite quilt shop in Trenton, Florida and, if memory serves me correctly, my sister also purchased some of the same fabric. It will be interesting to see what we each do with it! This is a Stack-n-Whackier pattern that I've done before - it started as the "quilt from hell" - but I'm doing it differently this time - more like the original pattern and less like the version I learned in class. Sometimes you have to play with a pattern to get to know it and understand how the different parts interact before you can choose fabrics that work. Hopefully, this time will be better. I love the colors and the beautiful Moda fabrics. Meanwhile out at the feeders, the birds continue to return. This time of year we look for the Western Tanagers to come through, but, so far we haven't seen any. 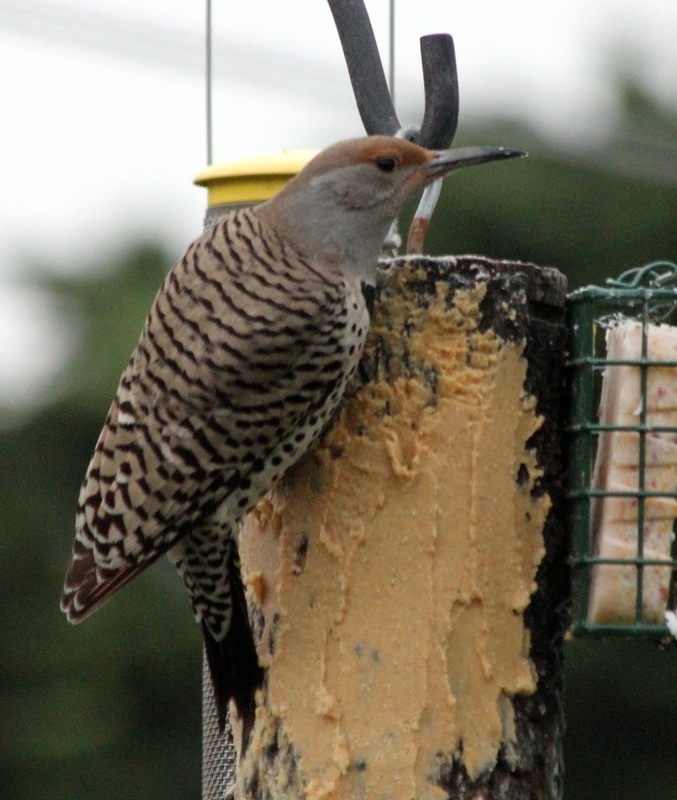 Our usual visitors, Northern Flickers, House Finches, Mountain Chickadees, and English Sparrows (more this year than in the past) keep us busy putting out sun flower seeds and a special bird butter. The humming bird feeders are out but we haven't seen the little birds yet. We have lots of Doves. 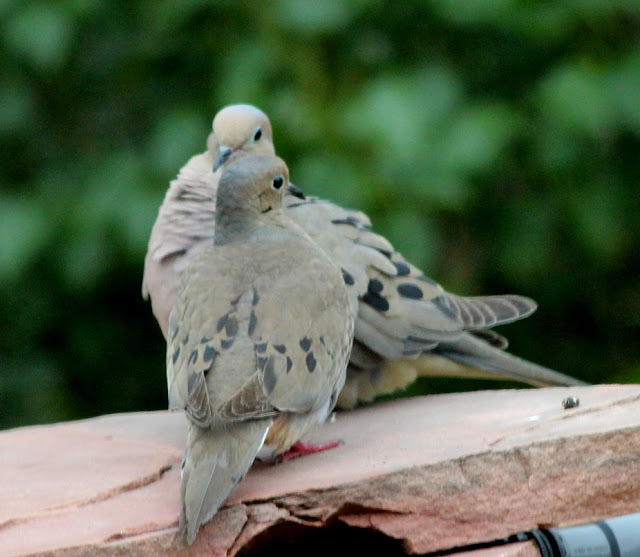 The Mourning Doves like the left-overs under the feeders. We also have the nosier Eurasian Collared Doves but they stay mostly in the trees, calling for a mate. 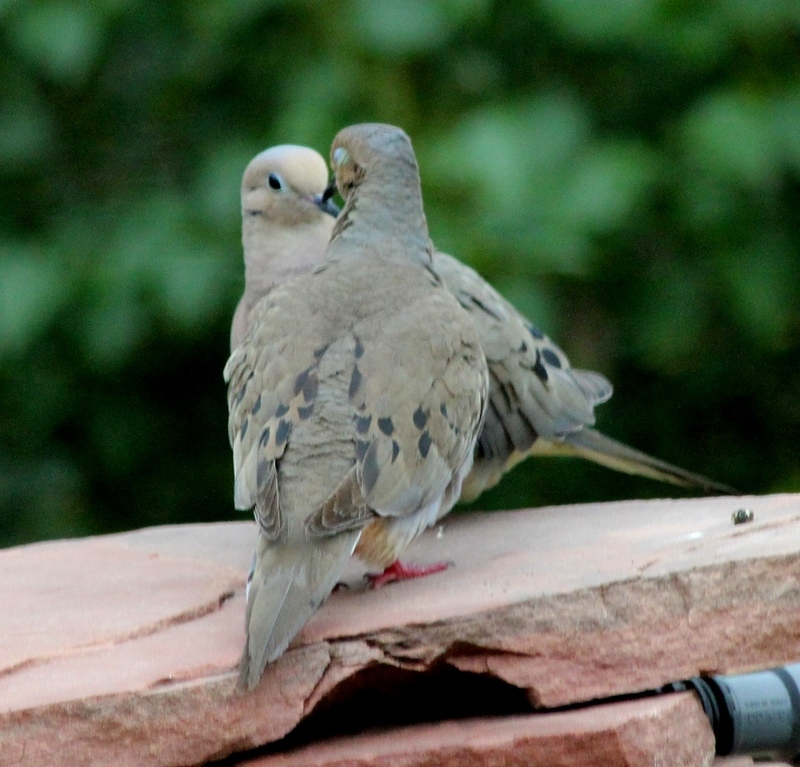 These two acted like lovers - cooing and touching bills.